Where to buy Guinea Pigs - animal shelter, breeder or pet shop? 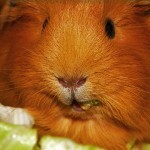 Guinea Pig Advisor > Purchase Guinea Pigs > Animal shelter, breeder or pet shop? There are several options to buy Guinea Pigs - not all are equivalent. Who wants to buy a fit animal should take care where to buy them. [Auto translated] So you decided to buy Guinea pigs and start your own animals husbandry. Sounds good! There are some options where to buy your new fur housemates but not all of them seems to be a good idea if you want to buy healthy and fit animals, and who wants not? So take care where to buy them. We tell you something about buying cavies. This is always the best option. Spend abandoned piggies a new home! In most cases they are healthy if animal shelter give it to your hand and furthermore buck cavies are almost castrated so you can familiarize it directly into your group or create a new with two or more Guinea Pigs. Please go to animal shelter at first, relieve them and give a cavy a new chance for a happy time! You’ll easily find a breeder for cavies nearly. These breeders are always a better option than buying any pet at a pet shop. Breeders take care about the animals, about genetic dispositions, genealogical tree and trained in breeding. It is unlikely to get a ill or pregnant cavy at a breeder. Responsible breeders let you inspect the cages and what he feeds them. At least he can give you a lot of information about the cavies in store. If there are no piggies at animal shelter in your region you should decide the breeder for buying guinea pigs. The initial outlay might be higher but you’ll get a robust pet and this is worth the price! We can not recommend to buy cavies at pet shops – this is the worst idea! Most pet shops in almost every country obtain their pets from breeders with horrible conditions for the piggies. Every at pet shops bought animal keeps the system of cruelty intact. In fact, Guinea Pigs are often sold much too young and female Guinea Pigs are often pregnant furthermore because male and female pigs won’t be separated correctly due to higher costs – or they will be separated too late. Beside this cavies in pet shop are often affected with vermin like acarian. Shops assistants in pet shops are usual unskilled and you’ll get the worst advises for your new cavies you can get. A Guinea Pig has individual requirements, needs more space and a bigger cage as other rodents. 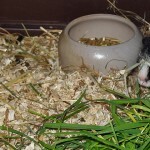 A cage of 60x40cm fits the need for cavies and can be alone. To keep a cavy and a bunny is a good option for both. But there is no guarantee of course. Anyway, try the animal shelter at first! 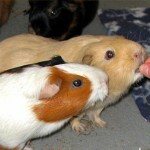 Feeding guinea pigs Good food in right quantity is the best way to ensure long-life of your guinea pigs. 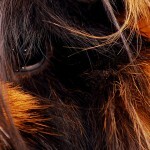 We'll give you an idea what fodder is really liked by your cavies. 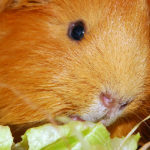 ← Should i keep Guinea Pigs as pet? 1 Comment für Animal shelter, breeder or pet shop? THANK YOU SO MUCH FOR THIS INFO!!!!!! My sister and I are thinking about getting guinea pigs from a local pet shop. Then after I read this I relized that they WERE used for breeding. (I asked the one of the staff is they were boys or girls in the REALLY SMALL glass cage and he said one was a boy and the other a girl) so thank you so much for this info.